At one time or another, everyone finds themselves in some rough emotional weather. Can meditation help you get through these storms, and even downgrade their future intensity? 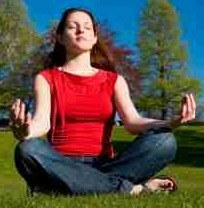 Yes, a regular meditation practice can indeed, provide you with a safe harbor from emotional storms. To understand how, let's have a look at both the long term and short term effects of meditation on your emotions. Through continued daily meditation practice, many profound inner changes occur, which will gradually bring about greater emotional equilibrium and well-being. These changes occur on several levels... spiritual, mental, physical/etheric, which includes your chakra system. Let's take a look at how these various levels of your being are positively effected by meditation, and how that relates to greater emotional well-being. Meditation connects you with your Inner Spirit... the perpetually calm center within you. Your calm spiritual center may be compared to the peaceful eye at the center of a hurricane. Connecting daily with your Inner Spirit helps you to remain more centered in	that calm space throughout the day, thus anchoring you from being blown about by the winds of change and adversity. Your mind assesses and interprets each situation that occurs in your life. If it interprets a situation as stressful, i.e. threatening, aggravating, sorrowful, etc., it signals your emotional body, triggering a related emotional response... fear/anxiety, anger/impatience, sadness/depression. etc..
By clearing your mind, meditation helps you to view your circumstances more "truly", free from the negative projections that often color ones outlook. With this greater clarity, the mind begins to interpret fewer situations as "stressful", and so becomes less inclined to send unnecessary emotion-triggering signals to your emotional body. From a biological point of view, emotional well-being is somewhat dependent on a healthy, well balanced endocrine system (your glands and their interaction). Several of your glands act as chemical transmitters between your mind and emotional body. These chemicals signal the emotional body to respond to a particular situation in a certain way. For example, in a threatening situation, your mind signals your adrenal glands, which begin secreting adrenaline. The adrenaline produces a feeling of fear in your emotional body, heightening your senses and readying you to protect yourself, by either confronting the situation, or getting yourself out of there. If your adrenal glands are functioning well, your emotional response is likely to be appropriate to the situation. But if your adrenal glands are out of whack, your emotional response is more likely to be disproportionate... too little adrenaline, producing a lethargic response... or too much adrenaline, throwing you into a state of anxiety or panic, rather than clear readiness to respond. This is just one example of how a healthy endocrine system is vital to emotional well-being and equilibrium. How does meditation restore and maintain healthy, balanced glands? The main way it accomplishes this, is by balancing and cleansing your spiritual energy centers, also known as "chakras". Your etheric body is composed of a subtler energy than your physical body, and acts as a template... a sort of unseen framework on which your physical body is built. Therefore, each part of your physical body has an etheric counterpart. Your chakras are roughly the etheric counterpart of your glands. Thus, when your chakras are in balance, your endocrine system mirrors this balance. 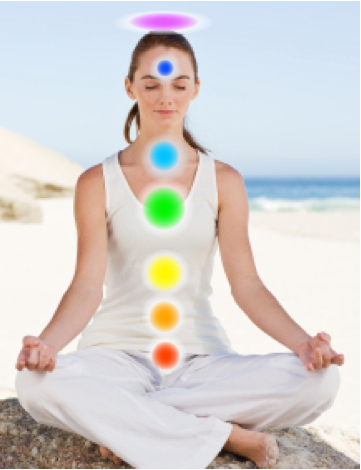 Your chakras also "feed" your glands with the spiritual life force, also known as chi. When your chakras are clear and functioning well, they are able to provide your glands with the necessary nourishment. However, when your chakras are blocking the life force, the health of your endocrine system suffers, and your glands begin sending the wrong signals to your emotional body, resulting in a variety of unwelcome emotional states. Daily meditation gradually clears your chakras of anything which may block the free flow of spiritual life force, and restores them to a state of healthy balance, so that they can better fulfill their role of nourishing your endocrine system. Another important facet of this process is worth noting... As meditation is clearing the energy blocks from your chakras, it is also healing and dissolving away old emotional wounds. As these emotional wounds are healed, your "emotional hot buttons" become less charged and thus, not so easily triggered. Whenever you are in the throes of rough emotional weather and want to get past it, 15 minutes or so of nearly any type of meditation can be an effective remedy. However, here is a meditation specifically for calming emotional storms. Because this meditation is for gaining relief from rough emotional weather, it would be best to not add more stress by worrying about doing it correctly. Just follow the simple steps and accept whatever happens.  Sit comfortably with your spine reasonably straight. It's fine to lean against something. If you are feeling too bad to sit up, lie down flat on your back. If you are in too much of a funk to do that, any position will do.  With your eyes closed, take a few moments to pay attention to your breathing... breathe naturally, and observe your breath coming in, filling you, and going out.  Next, imagine a radiant face... the face of the most loving, caring, compassionate, being you can think of. You may see this face, or you may just sense or feel it's presence. However you experience it is ok. This face may or may not be familiar to you. You may think of it as a manifestation of Spirit, or as just an extremely caring and compassionate being.  Spend a few minutes communing with this loving being. Converse with it if you like, mentally or aloud... or just commune in silence.  Then offer your negative emotions up to this loving being for healing. Just turn them over to be healed and transformed.  When you are ready, slowly come out of your meditation. As you continue to grow spiritually from your meditation practice, you begin to realize that you don't have to be a victim of the ever-changing winds and waves of emotion... you become empowered and more in control of your life. That doesn't mean that you cease to feel things. 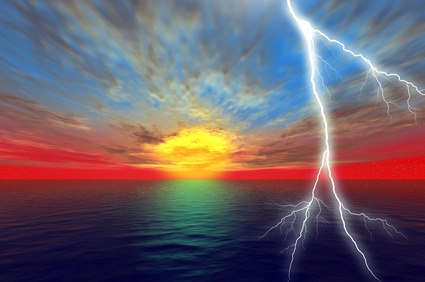 Rather, you may experience the entire spectrum of feelings, but you are no longer at the mercy of the more turbulent emotional weather as it moves through your life. Copyright © 1998-2014 The Worldwide Online Meditation Center. All Rights Reserved.All text, graphics, HTML and contents of this website are protected by US and International copyright laws and may not be reproduced or distributed in any manner without the explicit permission of The Worldwide Online Meditation Center.